Mission Statement: To protect life and property, serve the public and uphold the constitution of the United States within the boundaries of Boyne City in a professional and cost effective manner. OFFICE HOURS: Administrative Office 8 a.m. - 4 p.m. (Monday thru Friday) CLOSED on Weekends & Holidays Officers however, are on duty 24 hours a day, 7 days per week. If you need an officer you can call 582-6611 during office hours or call 911. 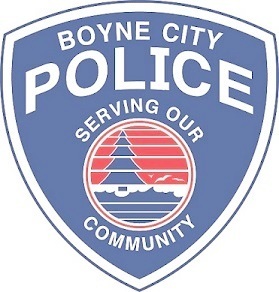 In their effort to safe guard the community and it's interests, the Boyne City Police Department offers additional programs for residents and business owners at no cost. Non Sufficient Checks: process, collect, and/or prosecute on behalf of a local business for all NSF checks received. Residential House Check Program: monitor house & property upon request for residents who will be out of town. Business Security Checks: will offer tips after an inspection of perimeter and building for local business owners. Bank Hold-Up Alarm Training: will train local bank staff on alarm system for robberies. Retail Fraud Training for Business: will train business owners and staff on retail fraud. Please contact the Police Department at 231.582.6611 (Mon thru Fri between 8 a.m. and 4 p.m.) for more information or to schedule a program for your needs!